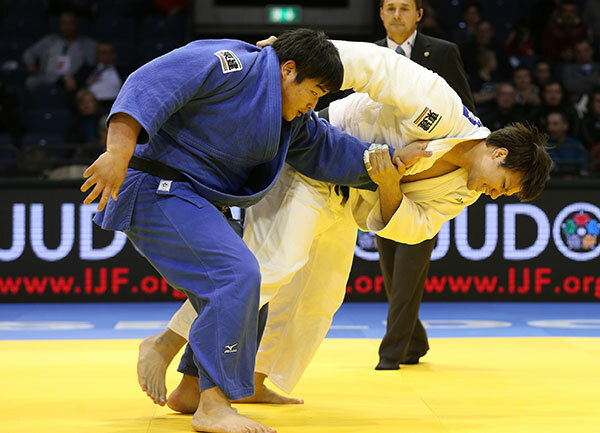 The Düsseldorf Grand Prix 2015, produced a stirring conclusion for this first event of the IJF World Judo Tour 2015. Today the heavyweights went toe-to-toe at the Mitsubishi Electric Halle. 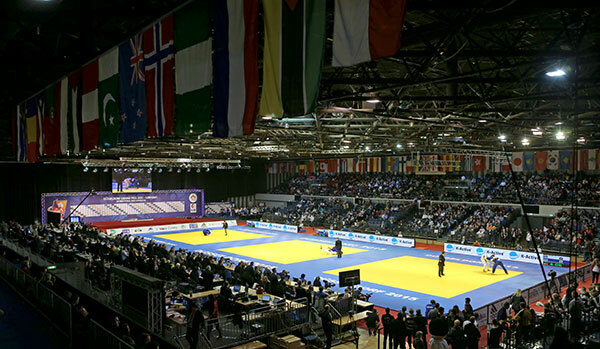 The public saw the women’s -78kg and +78kg categories and the men’s -90kg, -100kg and +100kg categories compete for the remaining five gold medals of the event in Germany. Next stop will be next month in Tbilisi, Georgia, from March 20-22. The IJF President, Mr. Marius Vizer, who was present in Düsseldorf for this third day of competition declared: “We had a really good kickoff the 2015 season here in Germany. In terms of number of participants and number of countries, this Grand Prix is a success. But it is also the case from a technical perspective. It shows the quality of the athletes, who are ready to compete throughout the season the get qualified for the Games next year. The overall quality was very good. I am also pleased to see that we had a very enthusiastic public throughout the weekend. I could follow the first two days from abroad and the event really looked good on TV. To have full stadiums is important for our sport. I wish to the judo family to have a fantastic year were quality will be the key word at all level. A week ago the judo family lost one of its greatest legends as Willem Ruska of the Netherlands passed away aged 74. The 1972 double Olympic gold medallist was inducted into the IJF Hall of Fame in 2013. The public, officials and athletes were kindly asked to please observe a minute’s silence in the memory of Willem Ruska. Just before the final block, Mr. Vladimir Barta, the IJF Head Sports Director, presented an IJF plaque to Ursola Braun, who has been a life long photographer for the German Judo Federation and a national referee for many years. At the end of the final block. Mr. Barta also presented an IJF Placket to Heide WOLLERT (GER), bronze medallist at the 2009 World Championships in Rotterdam, who put an end to her sports career. During the last day of competition, the IJF media department met Miryam Roper (GER). The world number three and 2013 world bronze medallist was supposed to compete in Düsseldorf but because she was sick had to withdraw a few days prior to the event. Nevertheless, she spent the whole weekend in Düsseldorf to meet her fans and the media. “Three days without competing, it is really difficult. I really wanted to be on the tatami, but that was not possible. Today, I have the impression to be more tired than if I had fought“, explained the champion. It was also the occasion for her to explain more about her last trip to Panama. “My father is from Panama, but I was there only once and it was 16 years ago, even though I have a lot of family there.“ Miryam Roper was in her father’s home country from December 15 to 20, 2014. “The country has changed a lot since the last time I was there. It has become more modern. In one part of Panama City, I even had the impression to be in Dubai. The Panama channel helps a lot with the economy. But still the infrastructure is fragile“, says Miryam Roper. Although the Olympic qualification is in full swing, the German star is already thinking about going back to Panama again to help the development of judo: “I know that they want to organize something bigger the next time I go there. In 2015, I don’t know yet if I’ll be able to travel, since I have to get concentrated on my Olympic qualification. 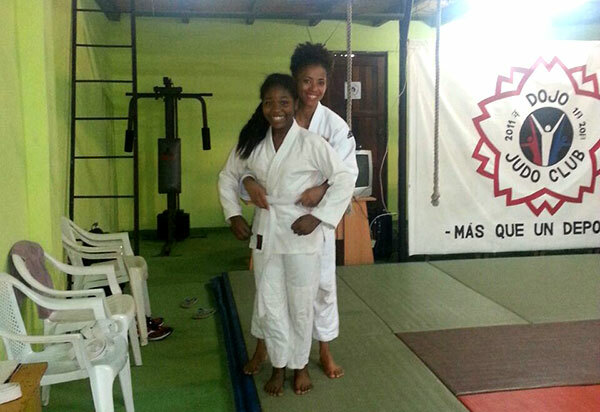 But this trip only focused on Panama City, and it would be interesting to extend that to the whole country.“ While in Panama, because Miryam Roper is a ‘professional’ athlete and because she loves judo, she also took the opportunity to answer media interviews in order to promote the sport around the country. -78kg: WHO WILL STOP HARRISON ON HER WAY TO RIO? 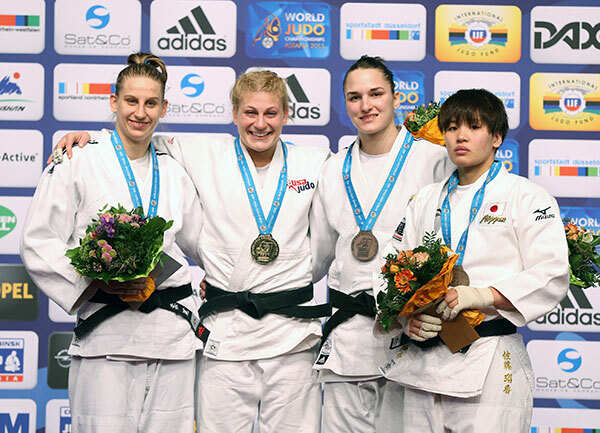 In the women’s -78kg weight category, if Luise MALZAHN (GER) was the top seeded athlete, former world and reigning Olympic champion, Kayla HARRISON (USA), was definitely the woman to beat today in Düsseldorf, especially after her last victory on the occasion of the Tokyo Grand Slam on 5 December 2014. With no surprise, the American entered the final after her victories against Laia TALARN (ESP), Guusje STEENHUIS (NED) and SATO Ruika (JPN). In the final she faced the second top seeded athlete, Anamari VELENSEK (SLO), who won the Paris Grand Slam in 2014. After one minute, both athletes were penalized with a shido for passivity. The American took this opportunity to launch her first main attack scoring an opportunist ko-uchi-gari for yuko. HARRISON was then penalized for a wrong grip. A last action from HARRISON, which started before the final gong, but ended after for no score didn’t change the final score and the American added one more line to her impressive prize list. In the first bronze medal fight, Guusje STEENHUIS (NED) and 2013 Moscow Grand Slam winner, JOO Abigel (HUN) met for a place on the podium. The Hungarian bided her time until the second half of the fight to score a o-soto-gari for waza-ari but it was changed to a yuko. 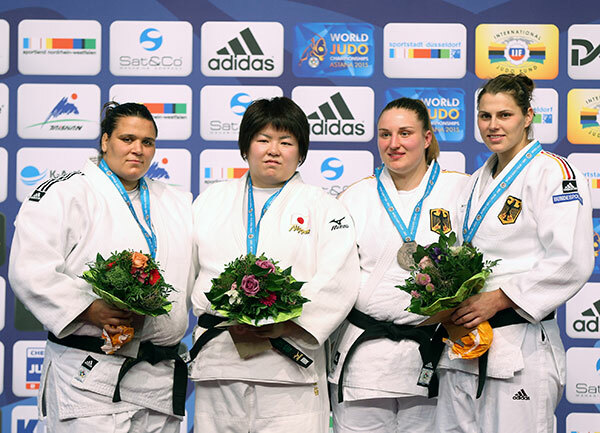 The second bronze medal fight saw tho non-seeded athletes having the chance to step on the podium: Daria POGORZELEC (POL), who only won a bronze medal on the occasion of a World Judo Tour event and SATO Ruika (JPN), already winner of two Grand Slam titles in her career. The experience of the Japanese was clearly enough to give her the chance to reach the podium as she scored a o-uchi-gari for yuko, which she saved until the final gong. In the women’s +78kg weight category, the surprise came from the fact that the two top seeded athletes, Franziska KONITZ (GER) and YU Song (CHN) were not able to enter the final, the Chinese being defeated during the preliminary rounds. It was the third and fourth seeded competitors who finally fought for gold, YAMABE Kanae (JPN) and Nihel CHEIKH ROUHOU (TUN). In the final, CHEIKH ROUHOU was rapidly penalized with a first shido, and again before the halfway point of the fight. Both fighters looked set to trade penalties, until YAMABE Kanae applied a sweeping movement with perfect timing for ippon. Among the four athletes qualified in the bronze medal fights, only one was not seeded, Carolin WEISS (GER), the three others being the two Ukrainian Iryna KINDZERSKA (UKR) and Svitlana IAROMKA and the top seeded and third in the world ranking list, Franziska KONITZ (GER), who had an occasion, together with her teammate WEISS, to add one more medal to the German prize list. Thus the first bronze medal fight took place between Iryna KINDZERSKA and Carolin WEISS (GER) and after a long gripping battle, WEISS won the bout by two penalties against one. Svitlana IAROMKA (UKR) and Franziska KONITZ (GER) faced for the second bronze medal on the podium and this match had exactly the same outcome as the previous one, as KONITZ won for Germany with two penalties against one. In the men’s -90kg weight category, Varlam LIPARTELIANI (GEO) confirmed his first place in the world ranking list by entering the final, hoping that he would not imitate his teammate Avtandili TCHRIKISHVILI who lost in yesterday’s final of the -81kg category. The big surprise came from the presence of the Russian, Kazbek ZANKISHIEV, to face the Georgian for the Grand Prix title. Only ranked 120 in the world, ZANKISHIEV only had a silver medal at the Tallin European Cup, obtained in September 2014, so far. But throughout the preliminaries, he showed great skills and consistency, successively defeating Mihail MARCHITAN (UAE), Guillaume ELMONT (NED), Mewene FEKIR (ALG), Nikoloz SHERAZADISHVILI (ESP) and NISHIYAMA Daiki (JPN) in the semi-final. After 25 seconds, LIPARTELIANI launched a first homemade uchi-mata, but ZANKISHIEV easily escaped for no score. But being less active than the Georgian, the Russian was penalized with a first shido, followed a few seconds later by a second one. Just after the first three minutes, and a long ground work session, world number one, LIPARTELIANI, immobilized his opponent in an uncomfortable position, but could keep the hold until the end for ippon. The winner of the Tokyo Grand Slam, GWAK Dong Han (KOR) and the two-time world silver medallist, NISHIYAMA Daiki (JPN), were opposed in the first bronze medal fight of the day. After three minutes NISHIYAMA scored a superb sode-tsuri-komi-goshi for ippon. But the score was changed to waza-ari after the action was replayed by the refereeing commission. The Japanese who already celebrated his victory, had to refocus and was finally able to win the bronze medal. The second bronze medal fight opposed the number 23 on the world ranking list Aleksandar KUKOLJ (SRB) and the world number 9, Beka GVINIASHVILI (GEO), who finished first in Ulaanbaatar last year. The Georgian secured the bronze medal with a single yuko obtained with an opportunist counterattack. The only favorite present in the final was the number 8 seeded, Ramadan DARWISH (EGY), who during the preliminaries defeated Jorge FONSECA (POR) and Lyes BOUYACOUB (ALG), before taking advantage over the world number 2 and top seeded athlete, Cyrille MARET (FRA) and NAIDAN Tuvshinbayar (MGL), the 2008 Olympic champion in the semi-final. The last stage of his already successful competition was against the 23-year-old athlete, HAGA Ryunosuke (JPN), who recently won the European Open in Rome. After a very good competition day, Ramadan DARWISH probably expected more than what he was able to demonstrate in the final. While struggling for the gripping, he could not avoid the quick o-uchi-gari of HAGA for yuko, the Japanese immediately following to the ground with a simple but efficient turn-over and an immobilisation for ippon. This victory gives the chance to HAGA to add a gold medal won on the occasion of a Grand Prix, after he already collected bronze and silver in the past years. Cyrille MARET (FRA) who definitely came for the title, could only enter the final block for a bronze medal against CHO Guham (KOR) and he looked exhausted at the end of the day. But the waza-ari that the French scored with a counter-attack for waza-ari was enough to secure a place on the podium. In the second bronze medal fight, two great names of the category Henk GROL (NED) and NAIDAN Tuvshinbayar (MGL), had to face off to decide who would step on the podium. Less active than his opponent the Dutch athlete was penalized with a shido for passivity, and looked unlikely to throw his opponent. But luckily for him, NAIDAN made a mistake by attacking without enough control, GROL did not miss the occasion to throw him with a counterattack for waza-ari. Once again the Dutch champion steps on an international podium. It must be noted that several other favorites had difficult competition days as Karl-Richard FREY (GER), bronze medallist in Chelyabinsk last summer, Elkhan MAMMADOV (AZE), 2013 world champion, Maxim RAKOV (KAZ), 2009 world champion and Dimitri PETERS (GER), Olympic bronze medallist, did not enter the final block of the competition. 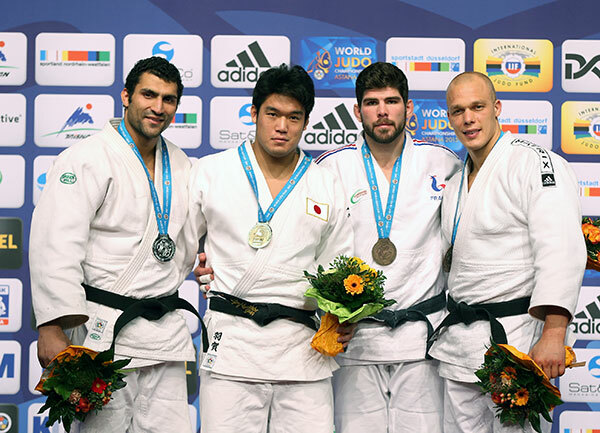 In the last category of the day, SHICHINOHE Ryu (JPN), who is currently the main contender to threaten Teddy Riner, was expected to enter the final, which he easily did after his victories against Jean-Sebastien BONVOISIN (FRA), Feyyaz YAZICI (TUR), Or SASSON (ISR) and Sven HEINLE (GER). In the final he faced his teammate, OJITANI Takeshi, who cleaned out the second half of the draw as world bronze medallist Faicel JABALLAH (TUN), KIM Sung-Min (KOR) suffered early defeats. The final took place between two athletes who perfectly know each other and therefore cancelled each other out. The difference was only made by the penalties and it is not the last attempt of OJITANI to throw SHICHINOHE, who changed the score. 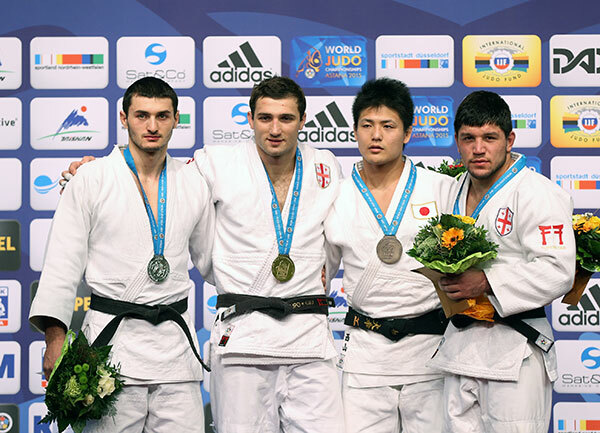 The world silver medallist will definitely be one of the rivals of Riner in the upcoming months and years. The German team had two extra chances to add bronze medals to the host country delegation prize list, as Andre BREITBARTH (GER) and Sven HEINLE (GER) were in contention for a place on the podium. In the upper part of the draw, BREITBARTH faced Or SASSON (ISR), but after less than a minute he was already one waza-ari behind as SASSON produced his effort to send the German to the floor with a left handed morote-seoi-nage. The second bronze medal fight opposed HEINLE to Oleksandr GORDIIENKO (UKR). 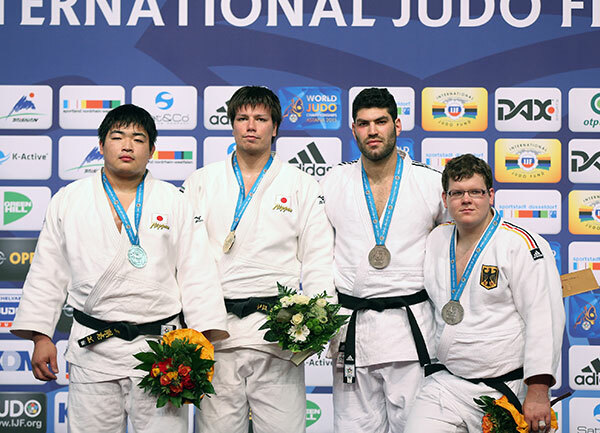 After leading by a yuko after more than three minutes of fight, the German combined a ippon-seoi-nage with a ko-uchi-gari technique to score waza-ari and to take the lead, to give a last bronze medal to Germany for a total of six bronzes and one silver for the host nation.